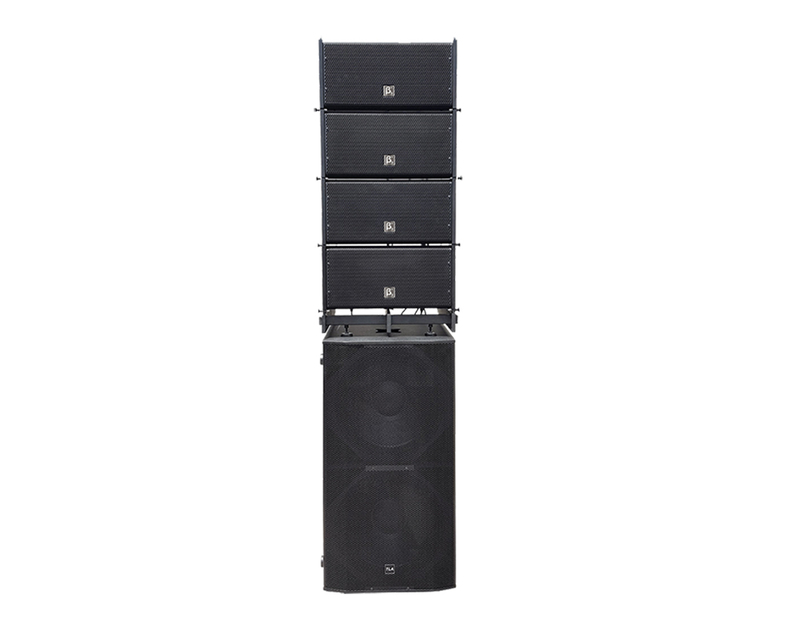 TLA 21 line array system consists of four TLA 21X satellites and a WS218XA powered subwoofer. 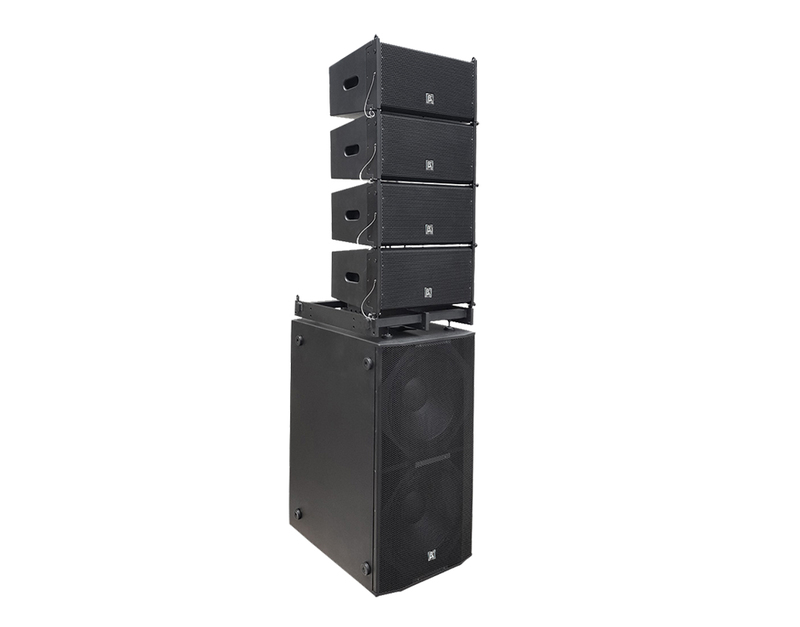 TLA 21X is a compact, high power, light weight unit with 2 x 1.7" compression drivers and 1 x 10'' woofer. 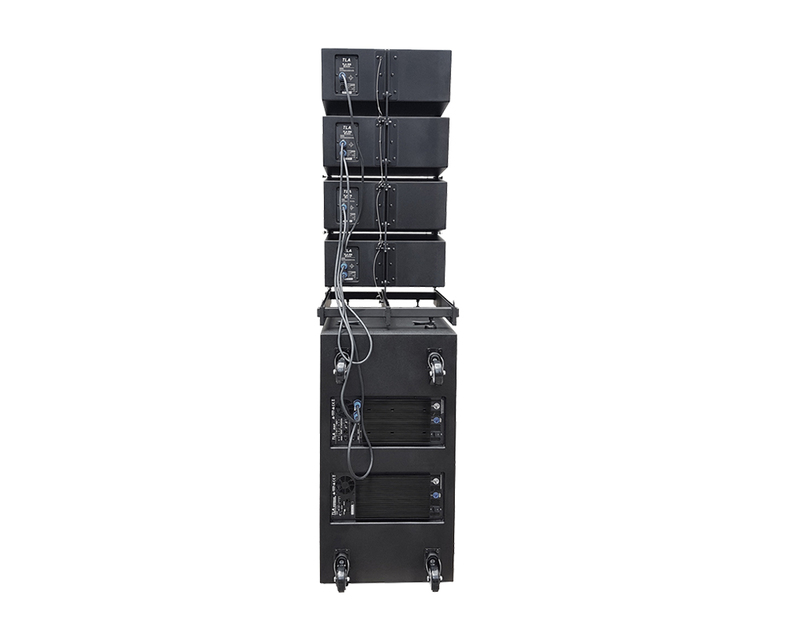 WS218XA is a dual 18" high power subwoofer with two amplifiers, one for driving the subwoofer WS218XA (4500W), the other for driving four TLA 21X satellites (900W x 4) . The system is designed for ground stacking. The satellites array hardware easily connects to the subwoofer. System assembly is simple and fast. A flying frame can either be used for flying the satellites or connecting the satellites and subwoofer to make a ground stacking system.